We gather to worship on Sunday mornings at 10:00 a.m.
Our worship service is our main worship event. These services celebrate the giftedness of the musicians in our church with a worship style that is a mix of contemporary and traditional music (including piano, organ, worship teams, and various instruments and vocalists). A message based on Scripture is central to our worship. 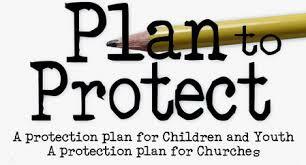 Nursery and children’s programs are available during our 10:00 a.m. worship services. Children's worship and Sunday School (KidzKonnect) are offered for 3 year olds - Grade 4. All children must be registered in the front foyer prior to the service. The children initially join their families for worship in the sanctuary and are dismissed to their programs early in the service. We are wheelchair accessible and listening devices are available for the hearing impaired. Our ushers are happy to assist. Join us for coffee in the fellowship hall after the service. To Be A Spirit-Filled Community of Christ Centered Worship and Witness.